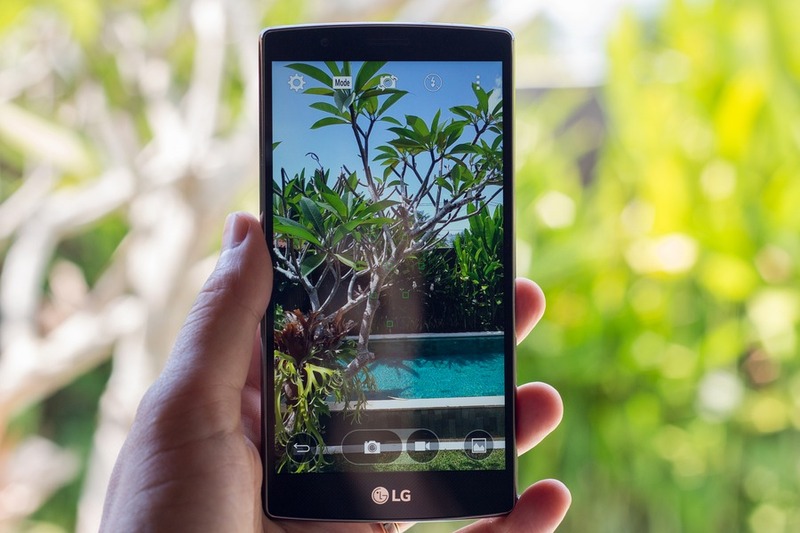 Home » Product Reviews » LG G4 Review: The Best Smartphone For Travel Photography? 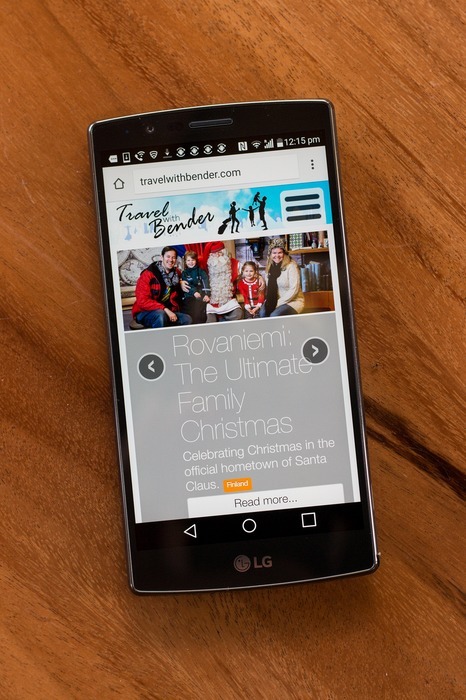 Win 1 of 30 LG G4 smartphones. See details below. Limited time only! 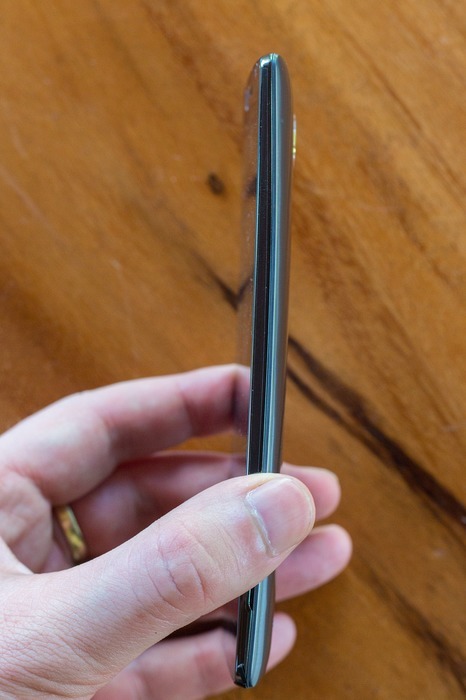 This week I got my hands on a preview version of the highly anticipated LG G4 smartphone. I know, I know. Try to restrain your jealously. 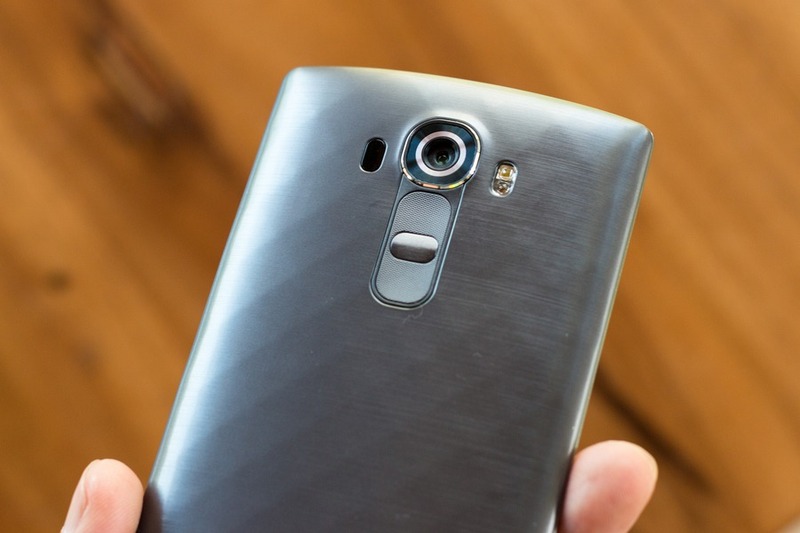 Hands on with the LG G4. You’re probably like me, and use your smartphone everyday for practically everything – from checking emails to social media to maps to calendars and even a shopping list. So replacing your smartphone is no small consideration. As an avid travel photographer I was keenly interested in this particular handset. Why? The camera. Now I’m not about to ditch my DSLR, but a pocket-sized camera will all the bells and whistles of the G4 certainly makes a convenient travel-friendly alternative that is much lighter and more compact. LG has continued to push the smartphone photography envelope as the image quality gap between an expensive DSLR and smartphone continues to shrink. I won’t go into all the detailed specs (you can read those on the LG website or GSM Arena), but there are 2 aspects which are most important to me – the battery and camera. Battery is pretty self-explanatory. When I’m out on the road every day, my phone needs to go the distance. The LG G4’s 3000 mAh battery is a winner, and even better, it’s still removable which will make it easy to extend the life of the handset after a couple years by just buying a replacement battery. Apple and Samsung fail in that department. 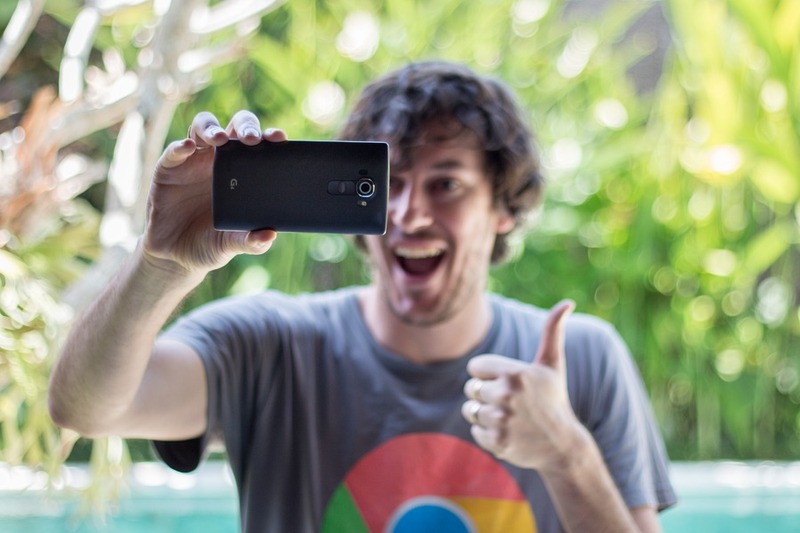 High-Res Image Sensors – 16 megapixel rear camera and 8 megapixel front camera to make selfies even more beautiful. f/1.8 Aperture – captures plenty of light for excellent low-light performance and smooth bokeh effect on close-ups (blurry background). Optical Image Stabilization (OSI) – camera shake is less of an issue. Laser Autofocus – makes focusing on the subject super fast, even when there’s not much ambient light. Colour Spectrum Sensor – a unique feature to balance colours more accurately, giving you a more realistic image. RAW Image Capture – this is where things start to get juicy. Capture the greatest possible detail from every snap... even details you didn’t know existed. Combining RAW image capture with full manual mode means it’s now possible to take photos that are almost indistinguishable from a DSLR. I’ve taken the G4 out and about in Ubud, Bali and here are a handful of photos which demonstrate what you can expect with the manual mode. Gotta start with a selfie. HDR, f/2, ISO 50, 1/700 sec, JPEG, Lightroom touch ups. Nice dynamic range for a smartphone. f/1.8, ISO 50, 1/170 sec, JPEG, Unedited. Ok, one more selfie. f/2, ISO 50, 1/40 sec, JPEG, Lightroom touch ups. Food looks so good you could eat it. f/1.8, ISO 100, 1/40 sec, JPEG, Unedited. Action shot, f/1.8, ISO 2700, 1/1000 sec, RAW, Lightroom touch ups. Action shot, f/1.8, ISO 1500, 1/2000 sec, RAW, Lightroom touch ups. Accurate tones and colours, f/1.8, ISO 350, 1/500 sec, RAW, Lightroom touch ups. Close up with manual focus, f/1.8, ISO 350, 1/500 sec, RAW, Lightroom touch ups. Close up with manual focus, f/1.8, ISO 150, 1/30 sec, RAW, Lightroom touch ups. Sunset sunburst, f/1.8, ISO 50, 1/500 sec, RAW, Lightroom touch ups. Sunrise rice field, HDR, f/1.8, ISO 50, 1/540 sec, Lightroom touch ups. Handheld light trail, f/1.8, ISO 500, 1/2 sec, RAW, Lightroom touch ups. Maybe my DSLR should be worried after all. There’s a new kid on the block! 2) Try an LG G4 at an LG/T-Mobile preview tour truck before they hit the shelves in the US. Check out the link for cities and dates, and also follow @G4Preview on Twitter for the latest updates. 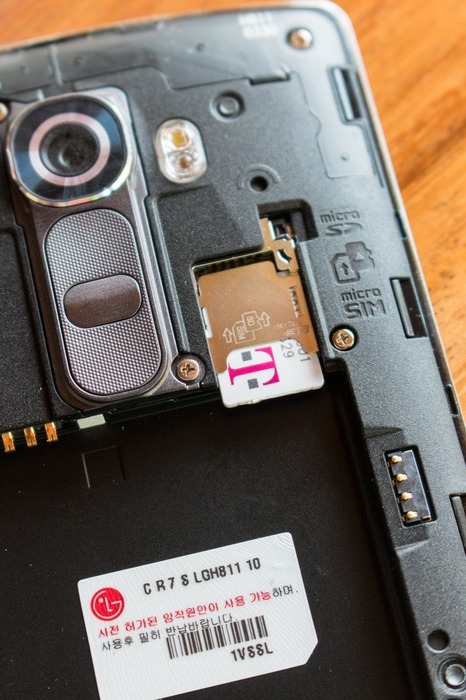 I use my phone more as a camera than I do a phone, so this is an interesting read. Perfect timing, I'm just starting to look for a new phone and this with 1.8, wow! What an amazing phone that pretty much makes a camera obselete. WOW! this looks amazing! i love the RAW and manual functions .... i might just have to ditch my iPhone for this soon!